Nicola Sturgeon: "It's been an extremely good night for the SNP." SNP share of the vote up by 30% as they take Kilmarnock and Louden with 56 per cent of the vote. 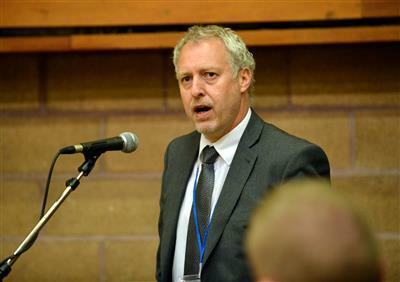 In Carlisle, John Stevenson (Con) had a majority of 853 in 2010. A Labour seat since 1959, he won it with 39.3% of the votes on a 7.7% swing. 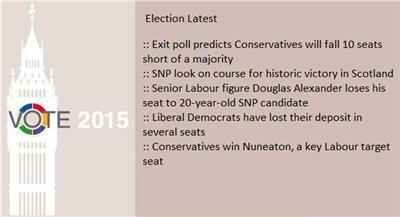 Labour got 37.3%, Liberal Democrats 15.6% and BNP 2.6%. Carlisle is ranked as the 18th most marginal Conservative-held constituency. 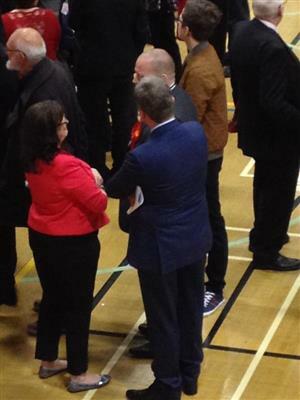 Mr Stevenson's majority equated to 2.02% of the total vote or 1.31% of the total electorate. If you're wondering, the number one Tory marginal is Warwickshire North - 54 majority. 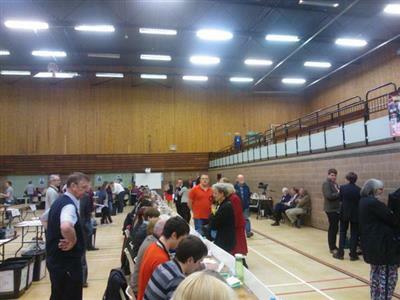 The estimated time of a result for the Workington constituency is between 4am and 5am. Tim Farron: I'm not going to claim it's a good night for the Liberal Democrats". Lib Dem leadership-tipped Tim Farron says he's "proud" of Nick Clegg as he dodges question on whether he'll make a play for his party's top job, saying that "fear" about nationalism has won but arguing that there's never been a stronger need for a Liberal party. 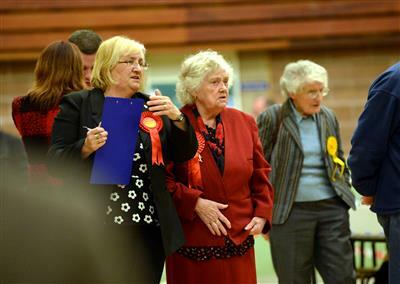 Labour front-bencher Douglas Alexander has lost his seat in Paisley. Labour's campaign chief has been beaten by a 20-year-old Glasgow University student Mhairi Black with a 5,684 majority. First high-profile casualty of the night. What do you think the potential of a huge influx of SNP MPs will have on the whole of the UK and the shape of politics at Westminster? 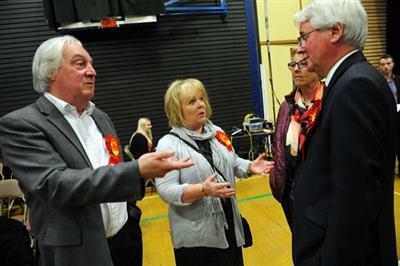 Fed's been asking the Workington candidates how they are feeling. 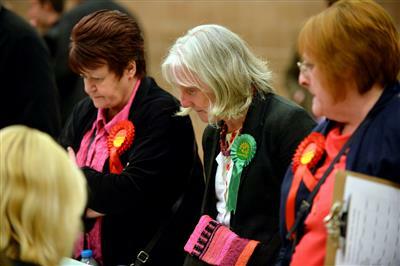 Sue Hayman (Lab) is tired and says it's going to be a long night but it's looking promising. Roy Ivinson (Ind) says he is feeling interested and would be happy not to come last in the polls. 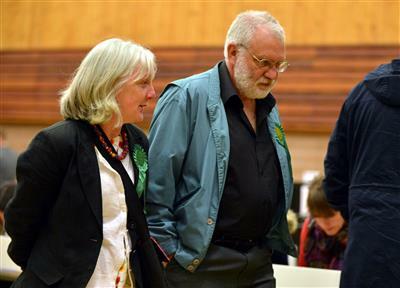 Jill Perry (Green) is happy and relaxed but tired. Phill Roberts (Lib Dem) is worried the exit polls are correct but is having knitting lessons, so at least he's doing something useful with his time. 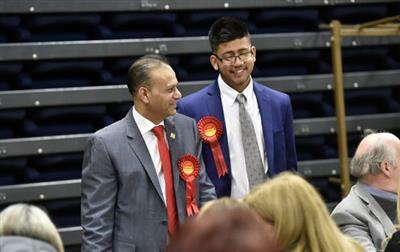 Mark Jenkinson (UKIP) is still on top of the world but.....tired and Rozila Kana (Cons) is still feeling confident and optimistic and.....very tired. 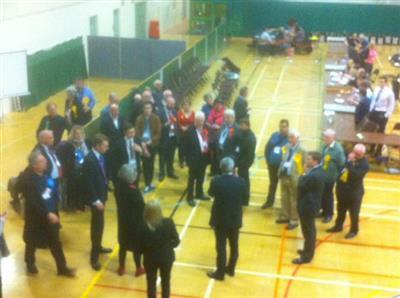 David Cameron's arrived at his constituency count in Oxfordshire. Former Labour cabinet minister David Blunkett says he fears the Conservatives are headed for an overall majority in a “very, very bad” night for Labour at the General Election. He warned his party must “learn the lessons” of what looked like being a serious bruising but not “revert to the far left” as it came to terms with the verdict of the electorate. 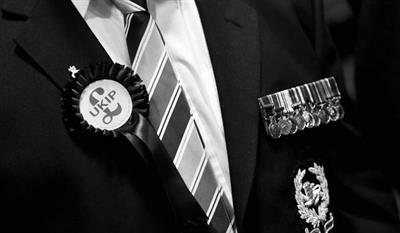 John Stanyer, Ukip's man in Penrith and the Border, has told News & Star's Kelly Pattison that he hopes to see the number of votes his party secures in the constituency at least treble, compared to 2010.